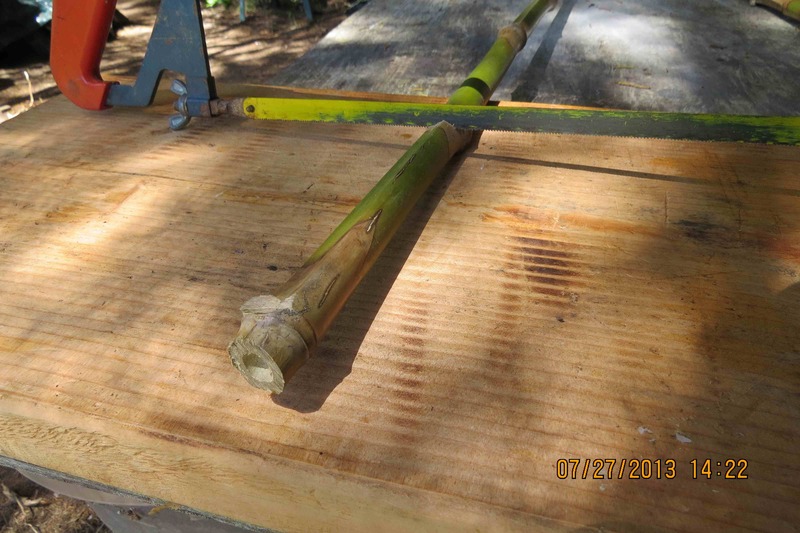 A hack saw works real well on the bamboo. Cut near the node, so one end is sealed naturally. Cram the tubes into some protective covering. In this case the down spout of a gutter, works well. Different sizes offer choices. I thought the large diameter tubes would too big so I was pleasantly surprised to see them sealed up. 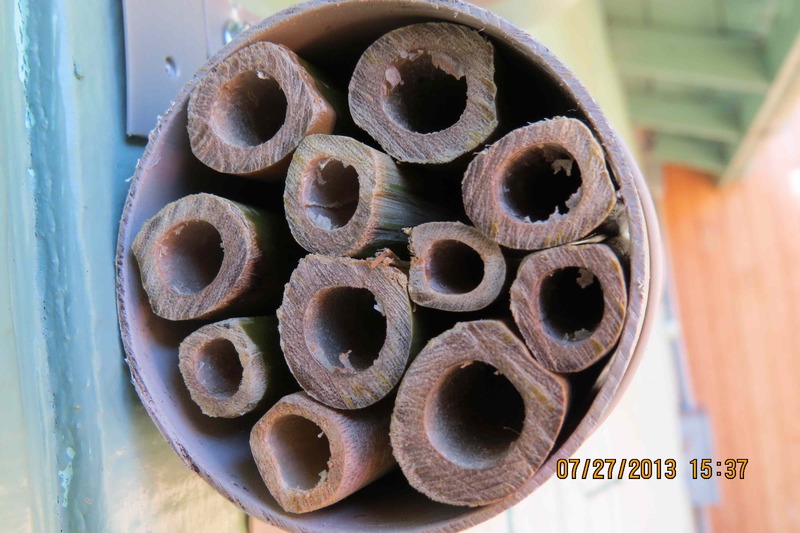 July 27, 2013…Bamboo nesting tubes, NOW OPEN! 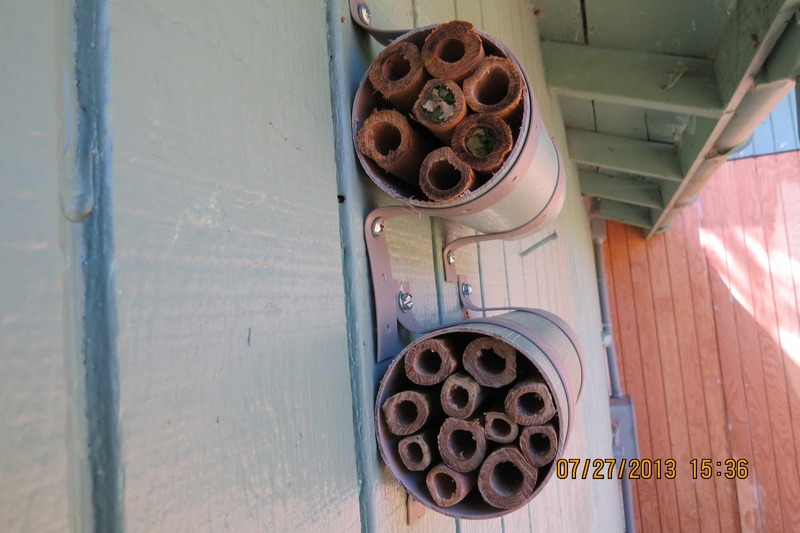 July 27, 2013…Last year’s tubes (on top) have two tubes filled, chewed up leaves are evident. These must be leaf cutter bees. Sept. 1, 2013…Two more tubes filled. They are sealed with mud. 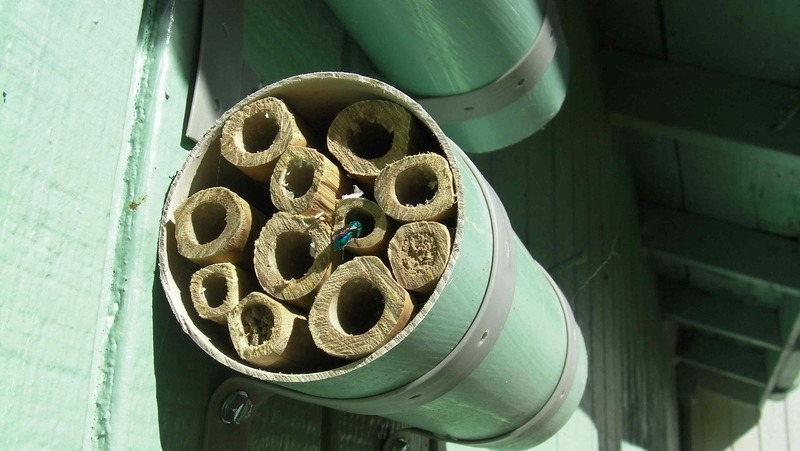 Maybe these are mason bee tubes. A blue-green visitor decides to investigate. Sept. 1, 2013…While I was waiting for a solitary bee to fly in, this curious little insect strolled up. 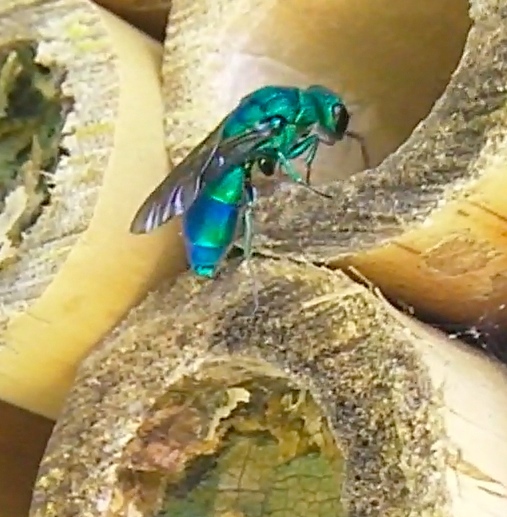 it’s either a cuckoo wasp or a Blue-green sweat bee or Osmia aglaia. I asked a couple of knowledgeable people if they could give me a solid “Bug ID” on this insect. Bug Guide, “It might be a chrysidid. I don’t have the knowledge to tell you what the bee or wasp is, but it is certainly beautiful.